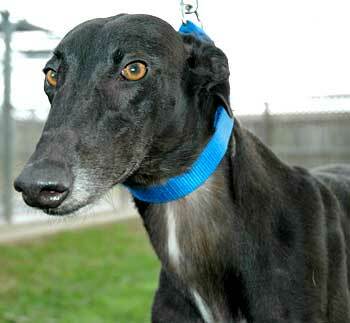 Trixie, aka GLB's Ms Trouble, is a darling 4½-year-old black female born October 17, 2000. Her sire is GLB's Helper and her dam is Anastasia Always. Trixie's racing career spans 162 races, starting at Palm Beach in Florida on June 28, 2002 and finishing at Corpus Christi. Texas, on March 9, 2005. 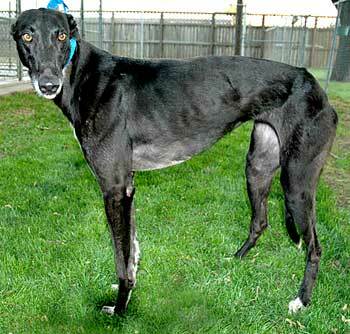 Trixie is very outgoing and personable. It is not known at this time if Trixie is small animal or cat tolerant.